PANAMA CITY – Water will start rushing into the newly expanded Panama Canal on Thursday in one area that was widened, ahead of the waterway’s April 2016 re-inauguration. 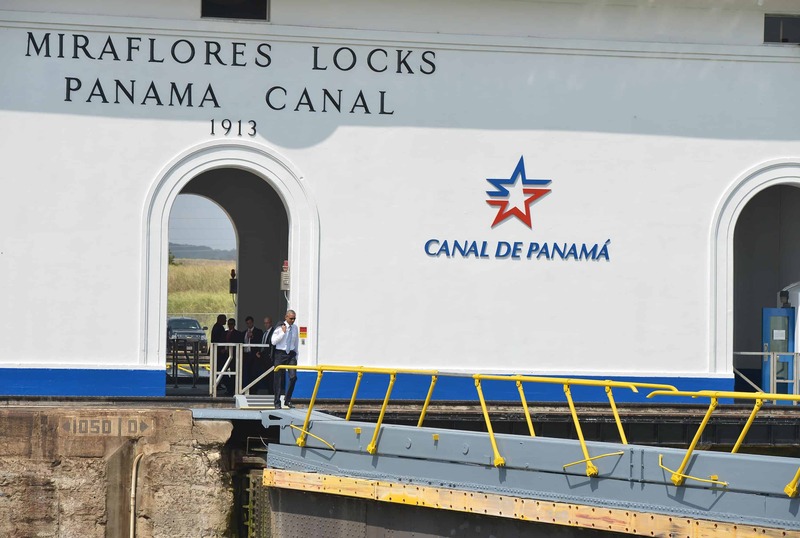 The area around the new Agua Fria locks in Gatún, on the Atlantic coast, will be the site of the preliminary tests, the Panama Canal Authority said. Completely filling up the first lock will take three to five months, according to the builders consortium Grupo Unidos Por el Canal. GUPC is carrying out the extensive upgrade to the canal’s system of locks, to allow the waterway to accommodate ships carrying up to 14,000 containers of freight, triple the current size. Upgrades began in 2007 and were scheduled to be completed in 2014 for the 100th anniversary of the canal, but the work has seen repeated delays. With a year’s delay so far, the cost of the megaproject has hit some $5.25 billion. About five percent of global maritime trade passes through the Panama Canal. Its biggest users are the United States and China. Nicaragua last year launched construction of an ambitious $50 billion rival canal that could handle even larger ships. It is set to be completed within five years.